Offering you a complete choice of products which include precision machined component and sintered components. We are a well-renowned organization in the industry to provide our patrons the best quality array of Precision Machined Component. 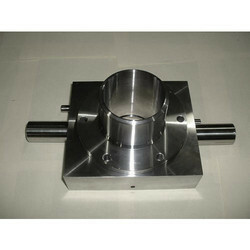 High Accuracy and Tolerance Material can be machined and made as per Requirement. We provide a broad assortment of Sintered Components for our respected clients. Commended for their tough finishing, robust construction and low maintenance, these products have assisted us to offer an edge over our counterparts and appear successful. Furthermore, for achieving a maximum level of customer gratification, we offer these castings as per the stipulations detailed by our customers.